Authored by epriestley on May 1 2014, 4:24 AM. Ref T4398. I found a reasonable-ish LGPLv3 library for doing this, which isn't too huge or unwieldy. Scanned QR code with Authy. Scanned QR code with Google Authenticator. epriestley retitled this revision from to Generate QR codes for TOTP tokens. Remove random +x on qrcode files. Harbormaster completed remote builds in B159: Diff 21174. Make the QR code pixels square in Chrome. 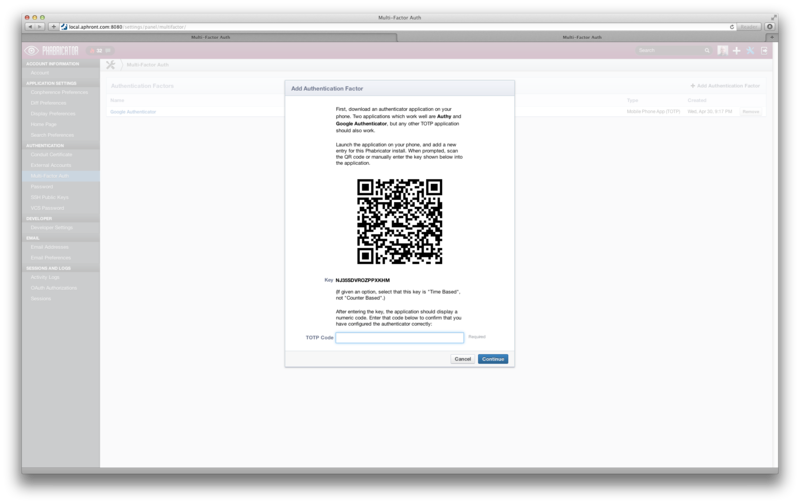 Well, now I have seen one of those QR things drawn in PHP. epriestley updated this revision to Diff 21190. Closed by commit rPe14695821758 (authored by @epriestley).